TCF sought to create a new corporate office for their Commercial Banking Division, expressing their new corporate brand. 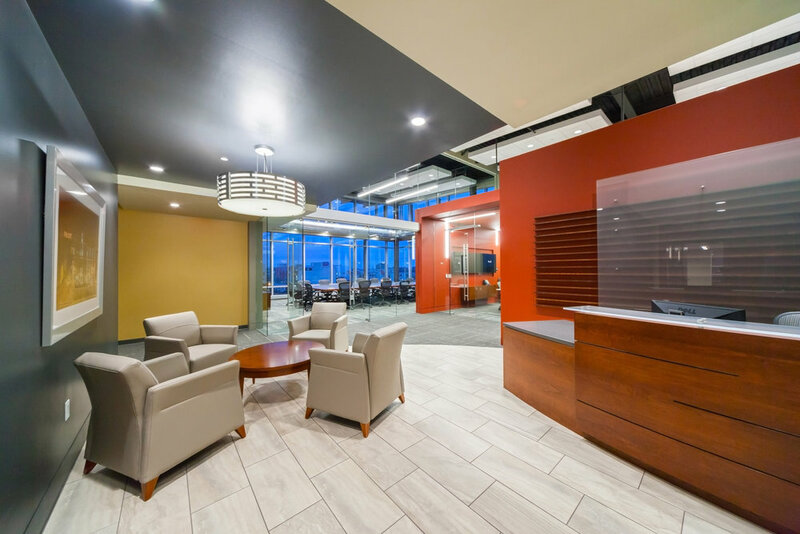 The facility features inspiring panoramic views of the city from the top floor of the Pabst Professional Center in Milwaukee’s Brewery Development; views that serve to reinforce forward-thinking perspectives of company leadership. Soaring glass and dynamic volume create an impressive board room demanding attention from many vantage points throughout the office. Services included programming, evaluative planning of multiple potential spaces, design, bidding assistance, interior design, construction administration and furniture consultation.